This cute hand blown 4 inch long glass lizard is irresistibly adorable, and quite the exceptional little smoking device. 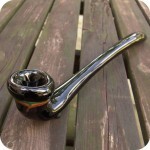 A deep cone shaped bowl is located between the lizard’s jaws, and the mouthpiece is located at the tip of the tail. 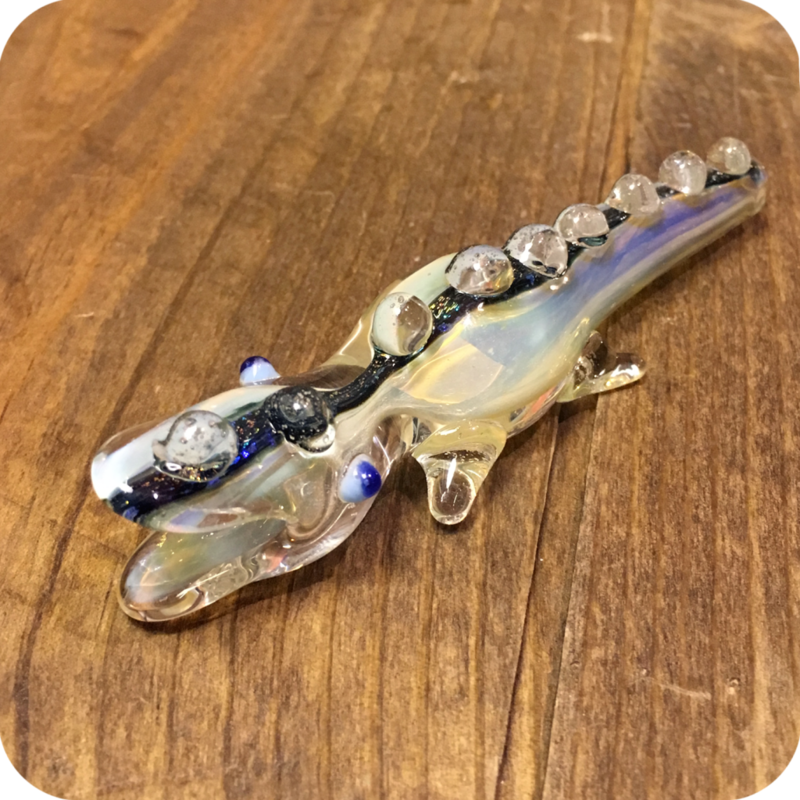 A stripe of deep, dichroic blue runs the length of the lizard’s back, and glass knobs giving him a lifelike spiny ridge down his back. 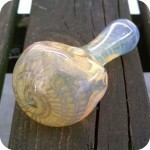 The silver fumed background will change to an opaque light blue as it is used. 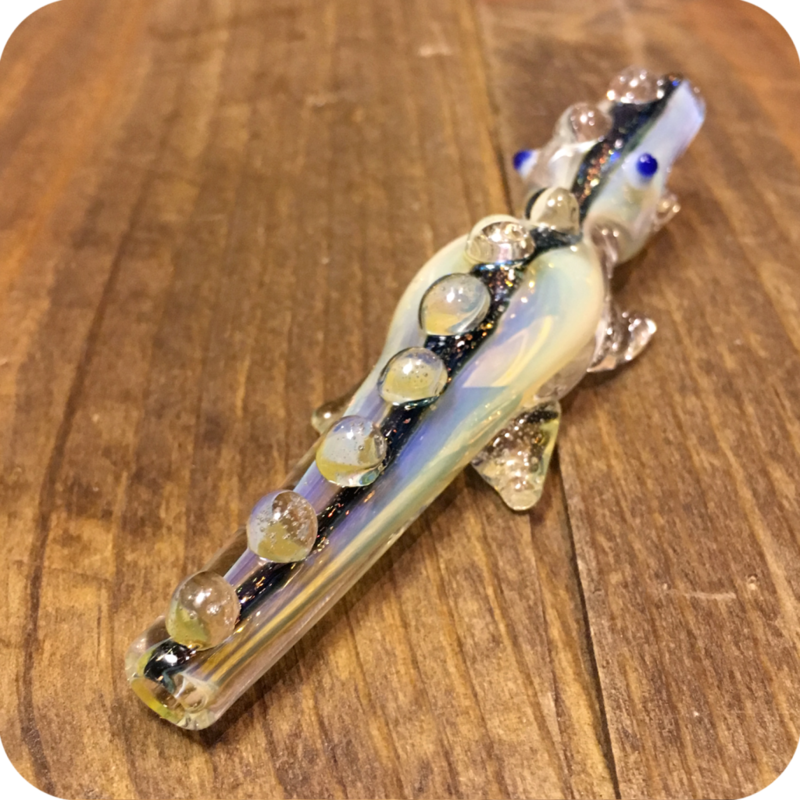 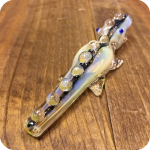 Since this glass chillum is so long, it will cool down your smoke before it reaches the lips, making the experience that much more pleasant. 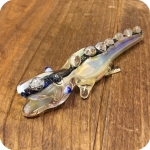 The lizard is flat on the bottom, so it will not roll around, and the legs also give it something to stand on. 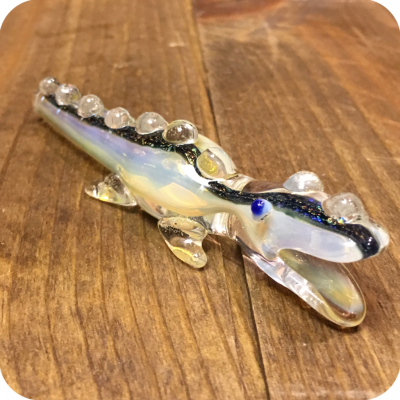 Crafted from sturdy borosilicate glass, this little lizard can go anywhere you go safely. 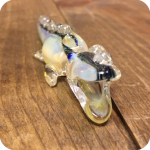 A perfectly pocket-able size, cute tiny legs, and big adorable eyes make this baby lizard so easy to adopt and love. If you think the lizard is adorable, check out our Turtle Glass Chillum!